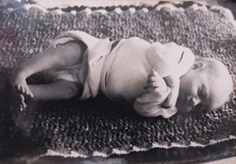 OnNovember 13, 1978 I was born in Amsterdam in the Netherlands to two awesome moms and a sister, who is four and a half years younger than me. I have always been drawn to anything creative. Drawing was my favorite subject in school and art supplies were always on top of my wish list for birthdays or ‘Sinterklaas’ (a Dutch winter holiday). Living in a big city like Amsterdam, we were very lucky to have grandparents who lived on Ameland, one of the small islands of the northern coast of the Netherlands. We would stay with them most school holidays and spend our days riding horses, playing games and roaming the beaches and sand dunes. I remember always asking my grandmother to do crafting projects together, as she loved making things and would always come up with something new and exciting. My parents have always been very active. Most weekends we would go out and explore, visit a cool city or town, go for a walk on the beach or, on rainy days, visit a museum, see a movie or go to the theater. They gave me lots of opportunities to experience a wide variety of art disciplines. I played the violin in the school orchestra all throughout middle school and was part of a local theater group in high school. In 1996 I won first place in the design category of a local art competition and art was always meshed right into my childhood. Question: How has your nontraditional family inspired your work? I do not think it has had any influence on my work at all, the thing is, to me it never really felt like it was a big deal. I had several school mates who had either two dads or two moms, I also had a friend who had neither and lived with her aunt, it was just the way it was. I never got any comments and, until I moved to America, I wasn’t even -really aware that it was still such an issue in other countries, I consider myself very lucky to have grown up in a country where -people have the freedom to love. 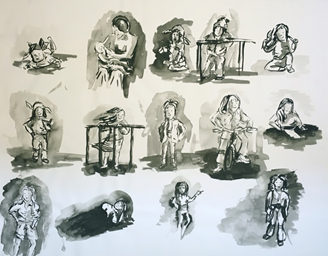 And, although I don’t think growing up in an all-female household has had any -particular influence on my work, I do think it gave me a certain amount of confidence and strength as a female artist. In our family women were always considered equal to men something that, unfortunately, is still not the case, everywhere else. We traveled a lot when I was a child; we would often spend long weekends camping in Holland or Belgium and when we were a bit older, we would travel by car or by plane to places like Greece, Spain, Portugal and France. When I was about 12 or 13, my aunt and uncle moved to Florida for a couple of years, so we spent two summers traveling around the South Eastern United States, an experience that definitely influenced my decision to move to the US in 2006. Even now we will often travel together as a family, sometimes visiting the places of our childhood, like Ameland or Amsterdam, but often we will explore something new. Occasionally it will be just the four of us, like when we went to Rome in 2005, but at times other members of the family will join in. Earlier this year I had the wonderful opportunity to take my moms on trips around Japan, together we explored Nagoya and its surroundings, Hiroshima, Kyoto and Okinawa. Going to school in big cities like Amsterdam and Rotterdam, with easy access to world-class museums and galleries, was a wonderful experience. In middle school, we would often take school trips to museums, orchestras and theatres and my high school was actually located around the corner from the Rijks, Van Gogh and Modern Art museum. After graduating high school at the Montessori Lyceum in Amsterdam my parent allowed me to go to art school under the condition that I would learn a trade, so I applied to the Willem de Kooning Academy in Rotterdam to study illustration. Even though I ended up as a visual artist instead of an illustrator I am still very happy that illustration was my major. The fine arts department was mainly focused on idea development, which was one of my classes as well, but on top of that, the Illustration department taught a very wide range of techniques. Alongside an array of different drawing and painting techniques we learned photography, various printing techniques, digital design, hands-on 3D design working with metal, wood and clay as well as art and cultural history. Studying photography in art school is directly responsible for the huge number of pictures I take everywhere I go. 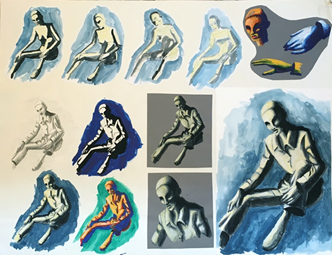 When studying illustration, you are required to work with a wide variety of subjects, live model drawing, imaginary light exercises, character development and much, much more. I really feel like I had a chance to try my hand at everything which was amazing, of course, but as a result I fell in love with too many techniques which resulted in the lack of a distinct style or direction after graduating. I did, however, create my very first photo based, mixed media cityscapes in art school. The piece was created for a book cover assignment, the requirements were simple, there needed to be space for the title and author’s name on the front, a summary on the back and it needed to be a city scape. I was totally in love with black and white photography at the time, so it felt natural to go out into the city to gather my materials. This piece inspired me to use the same techniques in one of my graduation assignments. While I was in art school I met my amazing husband, Sonny Pilger, at a local McDonald’s where we both worked. Although I didn’t know it at the time, meeting Sonny has been one of the biggest influences on my career as an artist, without him I would not be where I am today. Not only is he one of the most supportive people I know but he also puts up with my artistic weirdness on a daily basis, the other day I left blue tack in our bathroom for some reason and he didn’t bat an eye! Sonny keeps me focused, he is my number one supporter, but he will not shy away from offering constructive criticism and he always makes sure I don’t lose sight of the business side of things. Being an engineer, he is also very handy to have around when hanging exhibitions and he always has the perfect solution for all my technical problems. We both love traveling, our first trip together was a trip to London in the summer of 1999. I am definitely not the easiest person to travel with, I am always in ‘artist mode’, lagging behind taking pictures of obscure little things, or walking around buildings to capture multiple angles. The fact that Sonny’s still willing to travel with me and even points out odd, quirky details for me to photograph, is even more evidence of how supportive he is of my career. The biggest influence Sonny has had on my life and my art, has been our move from Holland to Texas in 2006 and from there to Canada and Japan. I used to be very bad at leaving home, my first few weeks in pre-school I would throw up from crying because I didn’t want to say goodbye to my mom. 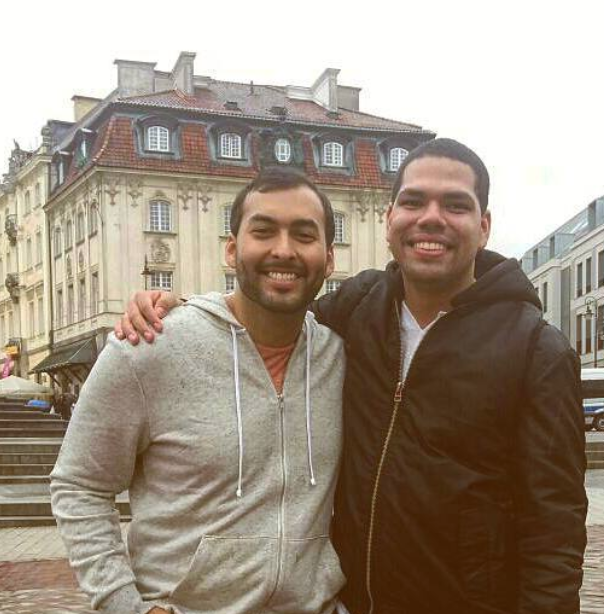 So, moving away from Holland seemed like a big deal, but it turned out to be a liberating experience. Moving away from your home country and all the people that have known you since you were a child, gives you an opportunity to re-invent yourself, you get to figure out who you are as a person without all these outside influences. I am definitely a stronger, more confident individual because of this and I am 100% sure that I would not be a self-employed artist if we hadn’t moved abroad. Question: What is love to you? A really intense feeling that cannot be described in words. At the time I graduated art school in 2002, the economy was in a downward spiral and making a living as an illustrator proved to be very difficult, so I started working as a graphic designer. From 2003–2011 I worked as a desktop publisher and art director for several companies. I didn’t paint a lot during this time, but I did pick up many valuable graphic design skills that I use on a daily basis. My graphic design background is still reflected in my artwork today, I use photo manipulation in the creation of my compositions and even the way the pieces come together reminds me of the way I used to design the pages of a magazine. When I start working on a piece I will first choose one city to work with, go through my photographs and combine different elements from that city, making them fit together in a new way, creating condensed memories of my travels. These skills also allow me to take care of my own graphic design needs when it comes to websites, business cards and other print media so they have proven very valuable indeed. In April 2006, I moved to Fort Worth, TX to join Sonny who had already been living there for a year. I worked part time as an art director for a Dutch magazine and finally had time to get back to painting and photography. 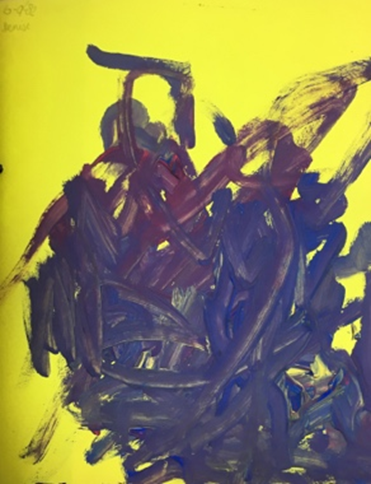 Because I hadn’t been painting much, I still lacked a distinct style and direction, which is very evident in the work I was creating at the time. I loved live drawing, so I joined a life drawing group in Dallas. I also loved oils, so I combined it with my love for drawing at the zoo, so off to the zoo I went. Photography was the only constant throughout all of it. My work was all over the place, until one day Sonny reminded me of those mixed media cityscapes I had created in art school. That’s the moment when everything fell into place. It was the perfect combination of all the things I love, travel, photography and painting. 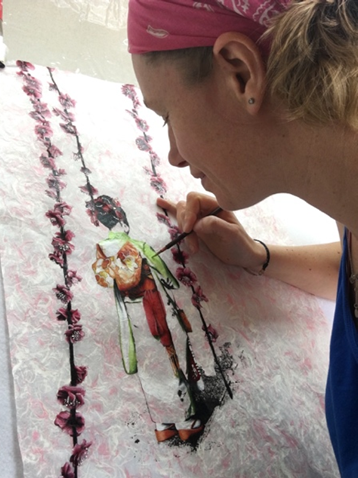 I immediately started working on the first pieces of my on-going body of work; ‘Traveling the World’. Question: Do you ever travel alone? Yes, I do travel by myself on occasion, mostly for exhibitions and sometimes specifically to take photographs for pieces I want to do. I will also travel to Holland by myself every once in a while, to visit family and I often go out into our current home city by myself to take photographs. I feel really lucky that I have the opportunity to take the time to really explore different cities in depth because we get to live there for a couple of years. I like going out by myself like that, just focusing on photography and discovery, but for long trips I definitely prefer to travel with my husband — traveling is so much more fun when you get to share it with your favorite human! In April 2009, we moved from Fort Worth, TX to Montréal, Canada and right at that time the company I was working for went bankrupt. 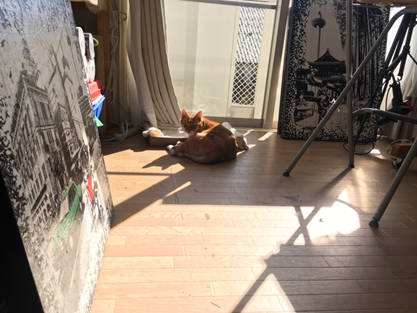 I continued working as a part time, self-employed graphic designer, but started spending more and more time painting in the studio. In 2010, one of my mixed media cityscapes won first place in a local art competition, which lead to my first two-man exhibition at the art center. Later that year I would start working with Viva Vida Art gallery, a gallery that represents my work until this day. It was about this time that I decided to stop working as a graphic designer all together and focus on my art career completely. In 2011, I organized my first solo exhibition at an artist-run space in downtown Montréal, which was followed by my first solo exhibition at Viva Vida Art Gallery later that year. In December 2011, I was invited to be a part of the Canadian delegation at the Salon de Société de la Nationale des Beaux Arts at the Carrousel du Louvre in Paris. Encouraged by my personal victories, I worked nonstop to establish myself in the local and international art community, collaborating with other artists, giving artist talks, presentations and workshops and participating in art fairs. As a result, photographer Pazit Perez and I received a best of Show Award for our collaboration project ‘Journey’ at the Festival d’art érotique de Montréal in 2012. When I arrived in Montréal I initially decided to create three pieces about the city during my time there, one in the first year, one on the second year and one at the end of my stay, as I was interested to see how living in a city would change my work over time. By the time I finished my second piece I had discovered that the island of Montréal is made up out of 33 different boroughs that all have their own vibe, just like little towns. 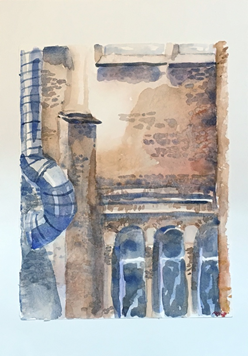 This discovery inspired me to start a series titled ‘Discoveries: Montréal’, a body of work that consists of a total of 32 18”x18” pieces, one for each borough, plus one 36”x36” piece that includes a building from every borough, to represent the city as a whole. In 2013, my book: ‘Discoveries: Montréal’ was launched at the vernissage for the solo exhibition for the series. In 2016, I was accepted to be part of the Artist Project in Toronto, this would be my first, high end, indoor art fair so to help with the logistics and preparations I joined forces with fellow Montréal artists Louis Bernard St Jean and Jono Doiron who were exhibiting for the first time as well. Working together on all the preparations was not only super helpful but it also led to some nice articles in local newspapers and an interview on one of Montréal’s morning news channels. In 2017, Jono Doiron and I returned to the Artist Project and we decided to collaborate on two pieces for the occasion. We combined our vastly different styles and created two pieces that played with the rivalry between Montréal and Toronto. Over the years I have learned that collaborating with other artists can be very helpful and inspiring. 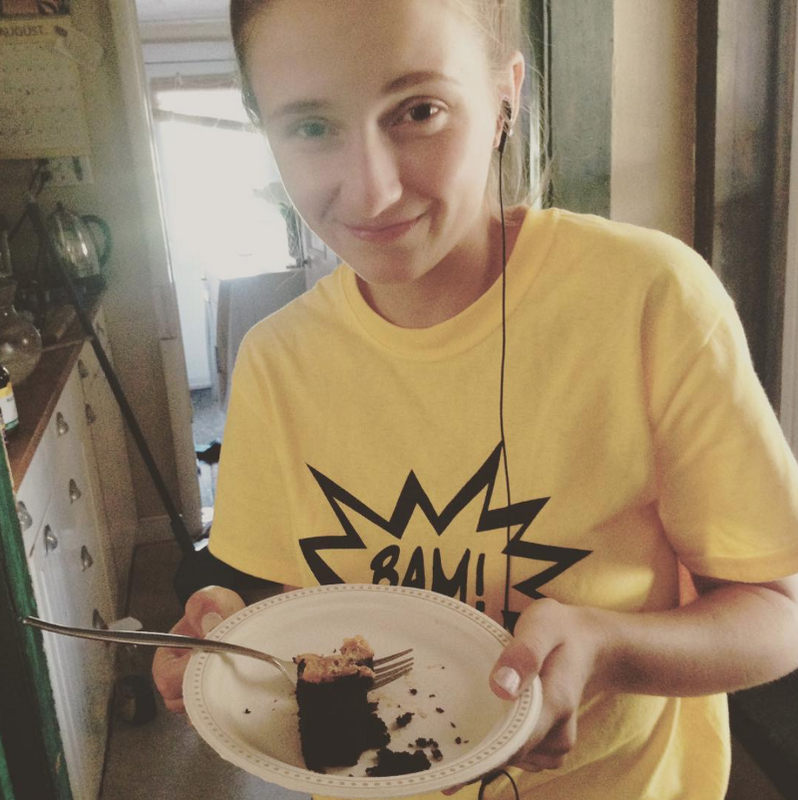 What is the best part about being an artist? Creating, making something beautiful that wasn’t there before. I’ve always had this urge to create so my favorite part is definitely the time spent in the studio painting. Being an artist is not easy, you’re effectively running a business all by yourself, contrary to what many people think, you don’t have the luxury of locking yourself in your studio 24–7 to just create so whenever I get a chance to do just that I grab it with both hands because studio time is the best time! On June 22, 2017 Mr. Tigger (our then 16-year-old Dutch cat), Sonny and I boarded a plane that would take us on a new adventure in Nagoya, Japan. 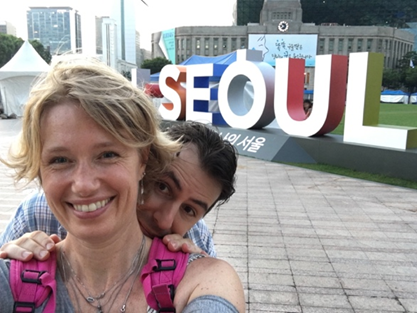 Despite our extensive travel history this would actually be our first time in Asia. Living in Japan comes with a unique set of challenges, but it has been an amazing, life changing experience. 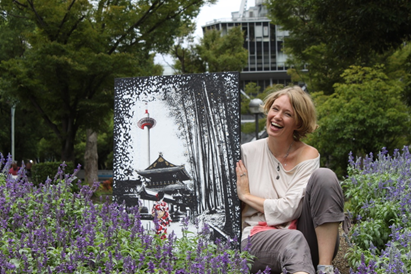 Even though I have only been in Japan for little over a year it has already had a huge influence on my work. 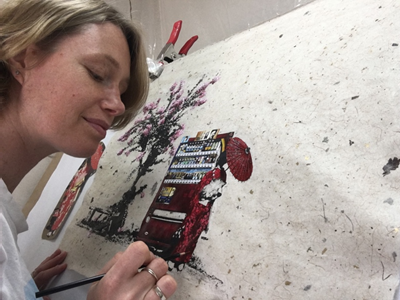 I have been taking huge amounts of photographs, as always, and have already started creating some new, Japan themed pieces in my tiny, Japanese-sized studio. When I came to Japan my main goals were to let myself be inspired by this country and to learn about the culture and especially Japanese art techniques. 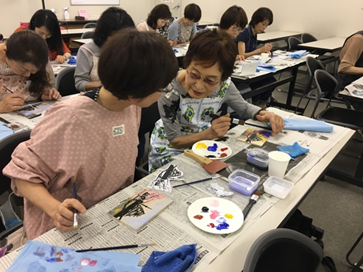 I have been taking a lot of classes, learning everything from traditional calligraphy to washi paper making, even trying my hands at Shibori tie dying and getting my hands dirty on the Japanese pottery wheel. The paper making was very inspiring, and I have recently started experimenting with working on Japanese washi paper, letting the materials and the minimalist Japanese style influence the work. It’s still in the early stages but I feel there’s a new body of work in there. 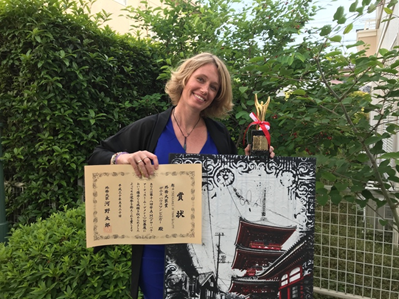 I am also starting a Japanese woodblock printing course in October where I am excited to adding more Japanese techniques to my toolkit. I signed up after seeing an exhibition of mind-blowing woodblock prints by Judy Ongg at a local museum. My work has been received very well here in Japan. In November 2017 I was awarded the Foreign Artists Organizers award at the 32nd Foreign Artists Exhibition and in May I was the first foreign artist to receive the Foreign Minister Award at the 18th Global Artists Movement Exhibition at the Toyota Municipal Museum of Art. What made you interested in Japanese art techniques in particular? I was used to in Holland. But because Japan has been completely separated from the rest of the world for a long time, they have developed a wide range of techniques and materials that are completely new to me. Contrary to many -western cultures, here in Japan there are still many artists and artisans that use the same traditional techniques that their family has been using for hundreds of years which is absolutely fascinating. What are some projects you hope to do in the future? Right now, I am really inspired by my travels in Asia and I am exploring all these new techniques and materials here in Japan. I have only just started working with Japanese washi paper so I hope to be able to continue exploring this -wonderful new surface. I am currently working in smaller sizes but eventually I hope to be able to do larger pieces and maybe incorporate more Japanese techniques like calligraphy and woodblock printing. So far, I have only created Japan themed pieces but we’ve been traveling a lot, I have so many images floating in my mind right now and I think it would be really interesting to see the juxtaposition between western imagery and the use of Japanese materials and techniques. Eventually I would love to collect inspiration from all over the world, explore all of Europe, see Russia’s awesome cities, visit -India, China and Australia, Africa and South America, this world has so much beauty to offer and I feel the constant urge to capture it all! 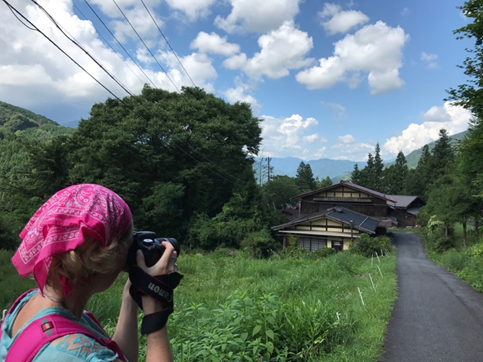 But for now, I am very happy to continue my adventures here in Japan, it is a -beautiful country that has so much inspiration to offer and it is close to many new places that I haven’t visited yet so I -definitely want to make the most of it! And as I continue to travel I hope to be able to incorporate more and more -traditional -techniques and materials from all over the world, I’d love for my work to keep evolving. Why have you chosen to work with black and white, with colorful accents? I have always loved the feel of black and white photography, even when I did photography in art school I preferred working in black and white so I think is something that has grown naturally. People sometimes ask me if I’m -depressed because I work in black and white so much but I would say the opposite is true, the black and white images make me really happy. I like using the color accents to guide the viewers eye through the piece and to highlight certain -elements. 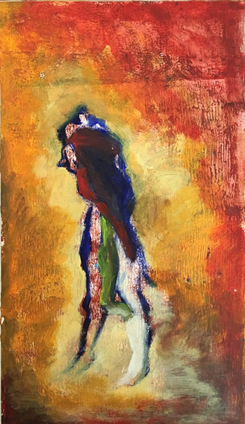 In general, I stay close to the colors as I encountered them in real life although I like to enhance and -brighten them and will allow myself some artistic freedom on occasion. The way I live my life, moving from country to country, I continue to see the world through the eyes of a traveler where everything you see is new and exciting. Even mundane, everyday items like pay-phones or fire hydrants look different everywhere you go and become something special. Now that I have been away from the Netherlands for over ten years, when I go back, it almost feels like a foreign country to me. The cities and towns have lost their mundaneness, which means I can finally enjoy their beauty and uniqueness in full. I continue to be inspired by the urban landscape and the people that populate it. We so often complain about our cities being old and dirty and we forget about the beauty that can be found there. Through my work I want to give people the opportunity to see their cities through my eyes, re-discover their beauty and inspire them to go out and find that beauty for themselves. 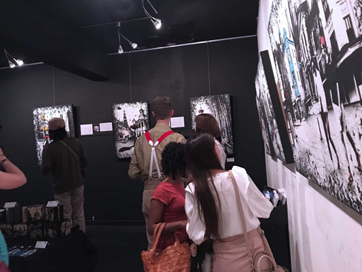 Exhibiting my work around the world and being able to observe people from different backgrounds and countries react to it is very exciting and insightful for me. The most common reaction across all cultures is people recognizing elements from the cities they are familiar with. They will enthusiastically point out familiar elements and often become really curious and interested once they notice that the painting doesn’t resemble reality. A reaction that is very familiar and close to my heart is the lingering nostalgia for a place they once lived or used to visit often. This is a common reason for people to add a piece to their collection and it’s definitely something that comes up regularly when I work on commission, though I also have many collectors who fall in love with a piece without having any connection to the location. A sense of wonder and discovery is the reaction that I love the most, because it is closest to what I hope to achieve. I enjoy watching people discover new things about the city they have grown accustomed to or see them travel the world and get excited about different places through my work. People often tell me they feel like they could step into my pieces and be part of the story. The best compliment I ever received from a collector was when they told me that adding one of my pieces to their collection has inspired them to re-discover their city, and possibly fall in love with it all over again. I use, which means the conversation often comes back to that. I guess the language barrier has something to do with that as well. I have a video that shows my process that I always bring to exhibitions because I feel the visual really helps people understand the work and has proven to be very helpful in Japan. For my exhibition ‘Foreign Views’, that is currently running at ITbM Gallery, I spent two full days painting at the gallery, specifically to give people an opportunity to interact with the artist and see the creative process up close. For many people art is this mysterious, untouchable thing, being able to see a work being created made them feel like they were part of that magic for a little while. Something I would have never expected to hear, and probably never would have if I lived in North America or Europe, is that the images are strong, and the work is quite large (for Japanese standards). People are surprised the work is made by a woman. I grew up in a very liberal country and was taught that I could achieve anything I set my mind to if I worked hard enough, so it never occurred to me that female artists would be viewed differently. I’ve heard stories, of course, but I haven’t had any experiences myself — this is the first time my gender has even been mentioned in relation to my work. I do not consider myself to be an activist, but if my work provokes this reaction I can only hope that seeing it will be empowering to others. Earlier this year I started taking photographs of my work around the city, love the look of my paintings hanging out in real life locations. 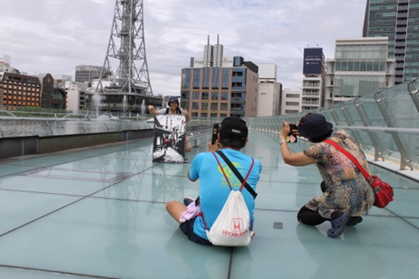 I am considered to be the weirdest gaikokujin in Nagoya right now, but if I get the perfect shot by being sprawled on the street in the middle of downtown and give someone a laugh in the process, that’s a nice bonus. An added benefit is that these photo shoots are like little pop-up art exhibitions and lots of random people get a chance to interact with the work. It will often happen that people come up to me to ask questions. Last weekend, when we were out taking shots, people even asked if they could take some pictures with the painting as well. What made you want to draw your travels instead of photographing them? I do actually photograph them, a lot, but instead of showing multiple pictures of a place, I want to combine the -specific elements that captivated me. I love the tactile quality of a painting, the textures of the brush strokes and the palette knife, the chunkiness of the wood panels and the delicate natural edges of the washi paper. Combining my -photographs with textures and paints gives me the freedom to rebuild the places that I have visited, I can highlight certain details, enhance or even change colors and blend them together into a condensed memory. As I continue to travel and explore the world, my work will keep changing and evolving, I am excited to see the adventures the future has in store for me and what I can bring to the world myself. That is a great question I wish I knew the answer to, unfortunately, in my husband’s line of work, we often don’t hear anything until maybe 3 months in advance if we’re lucky. I decided a long time ago that worrying about it is a waste of time, we can’t change anything about it anyway. For now, we’re enjoying every day in Japan to its fullest and when the wind changes we will see where it will blow us to next. A big thank you to Denise for your time in this interview! You can find more of her works here. If you have been following our social networking channels, you must have noticed that BBuzzArt has made an effort this season to provide you with great art enjoyments. Let’s throw back and see what have happened in the last three months, and also have a preview on what is up next! The biggest excitement this season has to be BBuzzShow! All over Facebook, Twitter and YouTube, you could find our daily updates and live videos presenting you the amazing exhibition. But it is not all yet. For those in a distance, we have prepared the UNESCOxBBuzzArt campaign to keep us all connected. The exhibition has been going on for a week, which is already halfway of the exhibition period. If you are in Seoul at the moment, grab the final chance to see the artworks in real! Along with BBuzzShow@Seoul Call for Artist Submission, we were also calling for artists who are living in a UNESCO city to share their artistic career. From this week, we will keep promoting emerging artists from all over the world. Yesterday, the first feature article was out. For the grand opening of BBuzzShow@Seoul, we held an opening party last Friday which has attracted over 50 guests from all over the world. 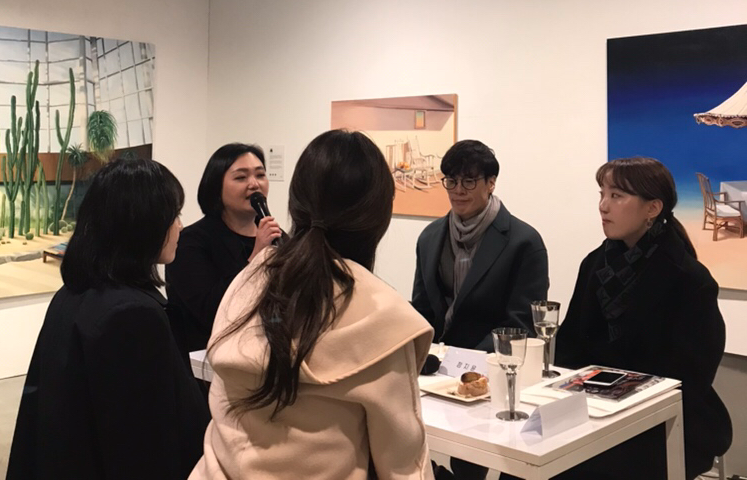 Among which, we are pleased that artists who are not living in Seoul had particularly came to our party to congratulate their fellows. Participating artists and our CEO gave inspiring speeches and discussions on the contemporary art scene. Despite the preparation for BBuzzShow@Seoul, our curatorial team has traveled across the world to Germany and visit artist Orfhlaith Egan’s studio. Lasted for two months, BBuzz Challenge has tried ‘an art a day’ with our BBuzzArt users. Selecting an artwork per day, we encouraged users to interact and discover new fellow artists together. We all have a sentimentality for our childhoods and we invited our followers to share something personal with us. 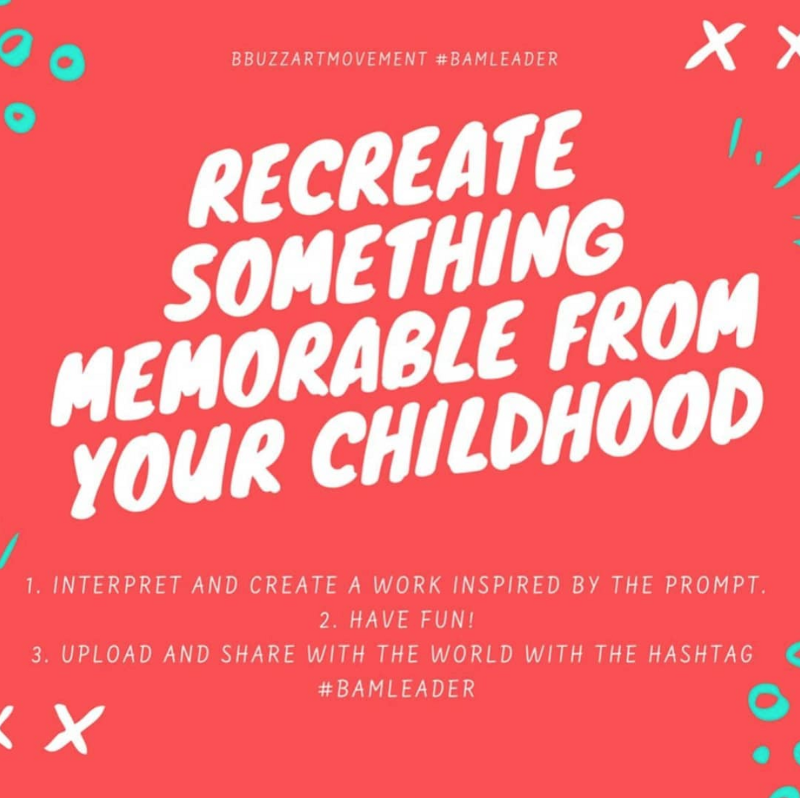 Under the hashtag #BAMLEADER, we presented the mission ‘Recreate Something Memorable from Your Childhood’ on Instagram. We were glad to see touching moments from the participation. Like Summer Collection from the Summer season, our curatorial team has been preparing a brand new art collection online. To be an art collector, you should not miss it! Dreaming to enjoy art anytime anywhere? As an art lover, you should pay attention to our latest commercial which will feature one of our technologies — BBuzzCanvas in any available sizes! Other than these campaigns and events, we keep providing you with interesting discussions on art-related topics and international art news. Look forward to the upcoming season! If you have creative ideas and stories to share, feel free to shoot us an email at info@bbuzzart.com. What does it mean by independent? You have heard of independent music, or more widely known as indie, but why haven’t you heard of independent art? The answer is simple. Because art has always been independent. But what about independent galleries? When we talk about indie, it refers to music produced independently from commercial record labels or their subsidiaries. The music production process includes an autonomous approach from recording to publishing. The word ‘independent’ is associated with 1) production process and 2) profit-making nature. When artists do art, their production process although might involve assistance from the external, does not depend on particular organizations. 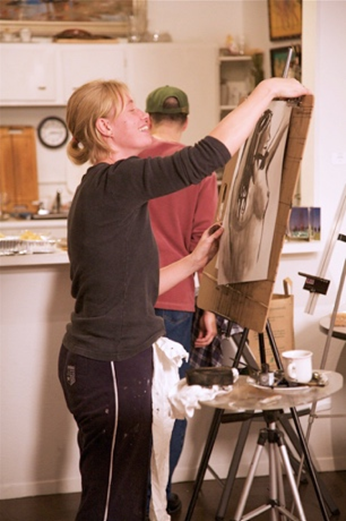 In most cases, artists work in their own studios. And in terms of profit-making, compared to the music industry, art has yet developed a stream to please public’s taste and undergone mass production for money’s sake. I would say, in an ideal world, art does not intend to make huge profits. although in reality, profit-making artists do exist (let’s do not name who), they have not dominated the market like pop music. Therefore, based on the two grounds, there are not (yet) something called ‘independent art’. Why are there more and more independent galleries? However, independent galleries do exist. On the opposite side of the definition of independent galleries is ‘commerical galleries’. In this sense, you would understand what an independent gallery means. Most of the independent galleries do not label themselves with a certain genre of art. Even if they have signed artists, they do not limit their artists to create upon commission. Independent galleries resemble more of art spaces, where curatorial projects are explicit. 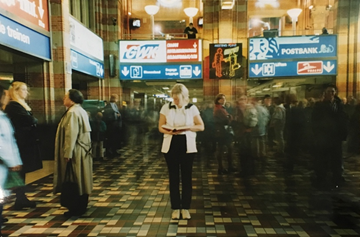 The spaces are platforms which allow art to happen. They therefore encourage workshops with the public and collaborations among different artists. From the first place, gallery is a place where buying and selling happens, which means being profit-making was the original nature of it. Although it always makes us feel awkward when we associate art with money, let’s do not forget that from the beginning of art history, art was a product served to the royals. Then why are there more and more independent galleries? Since Pop Art, more different forms of art movements were born to question the sellability of art. Conceptual art, body art, performance art, etc. If more and more different forms of art, which simple buying and selling cannot apply, has developed, how could commercial galleries satisfy the need of artists? That is why nowadays more and more independent galleries have enter the scene to provide artists of the new generation a platform to get exposed. How could independent galleries make a scene? If independent galleries mean galleries which do not aim at profit-making, then how do they support themselves as an organization? In fact, not only independent galleries, other alternative art organizations are facing the same issue. They depend on fundings, or side-products to allow artists do what they want. Therefore, public concern would be helpful to such independent parties to survive at today’s art scene. This year’s BBuzzShow@Seoul has set the venue at an independent art space in Seoul called Indie Gong Art Hall. This exhibition place encourages collaborations among different kinds of arts. They also aim to introduce local artists to the international art scene. If you wish to play a part to support the independent art scene, stay tuned with BBuzzShow’s updates! Author bbuzzartPosted on September 21, 2018 Categories BBuzzArt WritingsLeave a comment on What Does It Mean by Independent Galleries? 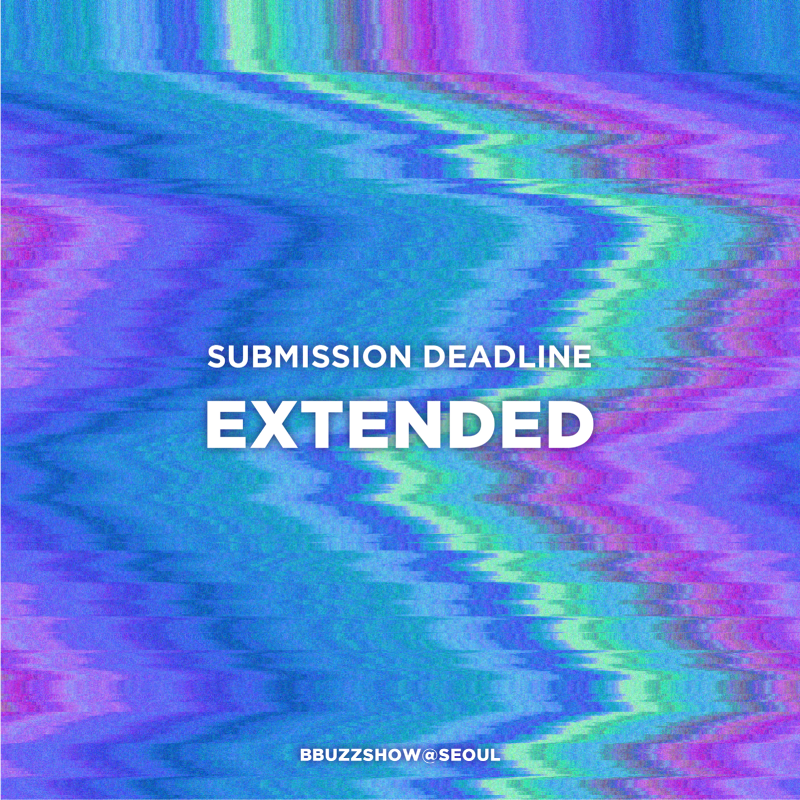 This year’s BBuzzShow@Seoul Call for artist Submission has now extended for 2 more weeks. The deadline, which was supposed to be today, is now postponed to 28 Sep 2018 (Friday). We understand that good works are resulted form trials. And trials take time! Since many artists have emailed us that they wish to have more time to finish their amazing works, we listen and do the best we can. We have amended the schedule of the exhibition so that more artists can get involved! Do not miss the chance! BBuzzArt is a start-up art platform tailored for vibrant artists. Through the online system, anyone can submit their works and get exposed to the world. The website is user-friendly for both artists and collectors. BBuzzArt has now gathered over 14,000 artists and keep striking to generate more opportunities for them to enter the bigger art market. Join us to create a more ideal art coummunity. What Have We Learnt from the Brazil National Museum Fire? What is the Truth Behind the Brazil National Museum Fire? You don’t know what you have until it’s gone. All art lovers are experiencing the pain of losing the relics in the Brazil National Museum fire last Sunday. Everyone is asking what was lost, but nobody askes why. According to an anthropology student who studied at the museum, this fire was caused due to several years of neglect from the federal government. The anthropology department went through a huge amount of unreasonable budget cuts during the past two years. In a radio interview, founder of The Brazilian Report Gustavo Ribeiro said that although the fire cause is still in investigaion, the reason is associated with the problems with how to deal with the possible fire in the museum. The fire detectors were not working, the museum has no budget to have firefighters in place, fire hindrance around the museum is not working so that’s why the fire department once they got there by 7:30pm on Sunday, it took them over 6 hours to control the fire and that’s also because there was a lack of water to control the flames. This is the third museum fire in Brazil since 2013. And in all 3 cases, similaries such as exposed wires, problems with fleaks, basic maintenance problems are observed. If Museums Cannot Save Art, Then What Should We Do? Art lovers over the world has voluntarily formed groups over social platforms to build archives for the forever-lost museum. They collect documents, pictures, or any possible information to re-build the museum online. This digital version of museum will require labour and resources beyond imagination. And we all know this tragedy could have been avoid with better cultural preservation. If museums are no longer the best place to store and preserve art, could online platforms take their chances and serve as the alternatives? When Was the Last Time You Visited a Museum? When we dig into the fire cause, blames are put on the government, on the museum’s curators that they do not try their best to attract audience. Responsibilities from the government and the institution are undoubted. However, if we are being honest, do we still go to museums? At this digital age, technology has for sure brought a lot of excitements to the art scene. (See also Digital Art is Spreading Over the Scene) But where was our patience lost? Why don’t we like to spend time to appreciate art in silence anymore? This fire is a warning. Hope that not only the federal government, all of us has learnt the lesson and sieze it before it is gone. Author bbuzzartPosted on September 7, 2018 September 7, 2018 Categories BBuzzArt WritingsLeave a comment on What Have We Learnt from the Brazil National Museum Fire? Does AI Have a Chance in the Art Market? On 23 October, Christie’s New York will introduce artificial intelligence (AI) to the auction arena first time in history. The artwork Portrait of Edmond de Belamy, estimated at $7,000-10,000, is a print on canvas generated by the French art collective Obvious. Using a model called Generative Adversarial Network, artists from the Paris-based collective create the image by inputting 15,000 portraits done between the 14th and 20th centuries. This work to be sold has already passed a test which distinguish hand-drawn paintings. Can an algorithm be creative? In an interview with the art magazine artnet, a member of Obvious’s creative team, Hugo Caselles-Dupré, questioned the creativity of an algorithm. He explained that the philosophical approach behind the work was to challenge the possibilities of artificial intelligence in art. He believes that if algorithm can be creative, it would be the closet to the human mind’s creativity. AI has already been incorporated as a tool by contemporary artists. In a statement, Christie’s head of prints and multiples, Richard Lloyd, affirms the importance of artificial intelligence in today’s art world. “Christie’s continually stays attuned to changes in the art market and how technology can impact the creation and consumption of art…AI has already been incorporated as a tool by contemporary artists and as this technology further develops, we are excited to participate in these continued conversations.” The age of AI is about to begin in the art market. Where can I see more conversations between AI and art? Two years ago, the start-up online gallery BBuzzArt has developed an Art Intelligence Engine called Agnes. The collaboration between the manpower of BBuzzArt’s curatorial team and the Art Intelligence creates the best selection of artworks from latest emerging artists. Up till now, Agnes has already been featured in Curator’s Pick section of BBuzzArt’s website for a year and curated on seven themes. To bring excitements to the traditionally rigid and opaque art market and synthesize art of our times, BBuzzArt keeps generating innovations to make sure that emerging artists will stay afloat in the fast-changing industry. If AI can be a curator, why can’t you be an artist? What are you waiting for? Join BBuzzArt and let the world see your art! Author bbuzzartPosted on August 23, 2018 Categories BBuzzArt WritingsLeave a comment on Does AI Have a Chance in the Art Market? You are excited to our upcoming BBuzzShow@Seoul, right? Are you stuck in the middle of preparing your profile? Eager to be selected but don’t know who to ask? See the invitation criteria below and get some ideas! Express your artistic background and inspiration utilizing BBuzzArt personal profile. It is your personal space where you can express who you are as an artist. If your art is totally minimal and abstract, why is it so? If you are exploring uncommon artistic medium, why is it so? If your favorite artist is your neighbor next door, why is it so? The art enthusiasts around the world would like to know who you are as an artist! 2. How does your artwork look in reality? Great! Now we know that you are an artist. Is your artistic outcome in line with your claim? Showcase your art, either completed or in process! A serious artistic outcome entails a proper caption including title, medium, size, year of execution and edition number if any. Visualize us so that we can imagine how amazing it will look at our BBuzzShow! Don’t forget to add the tag #BBuzzShowSeoul to your artwork! 3. Does your art speaks people’s mind? Let’s admit that it is extremely difficult to survive as an artist. If you alone think that you are an artist, sorry but that is not enough! Then, let’s start from your family, friends and followers before jumping to art dealers, gallerists and curators! Do your folks think that you are an artist? Ask them to leave a short line of feedback on your artworks at BBuzzArt! 4. How do others like your art? There is no answers for what a good art is. However, BBuzzArt as well as global art lovers believe that a prospective artist thinks outside the box. One more heart pushing a like button at BBuzzArt is possibly a good indication that people would like to see your artworks in reality! BBuzzArt encourages an equal community where everyone could have a say! The more likes your artworks get, the higher chance they will be selected! BBuzzShow is one of BBuzzArt’s major activities that provides an exhibition opportunity to emerging artists around the world. The exhibition team travels different countries to open a visual arts exhibition by receiving open submissions. It is definitely open to every emerging artists without any location restrictions since BBuzzArt covers the transportation cost of art work. Online to offline, BBuzzArt thrives to be a platform where emerging artists can freely claim the creativity. Stay tuned for more updates on our BBuzzShow@Seoul! 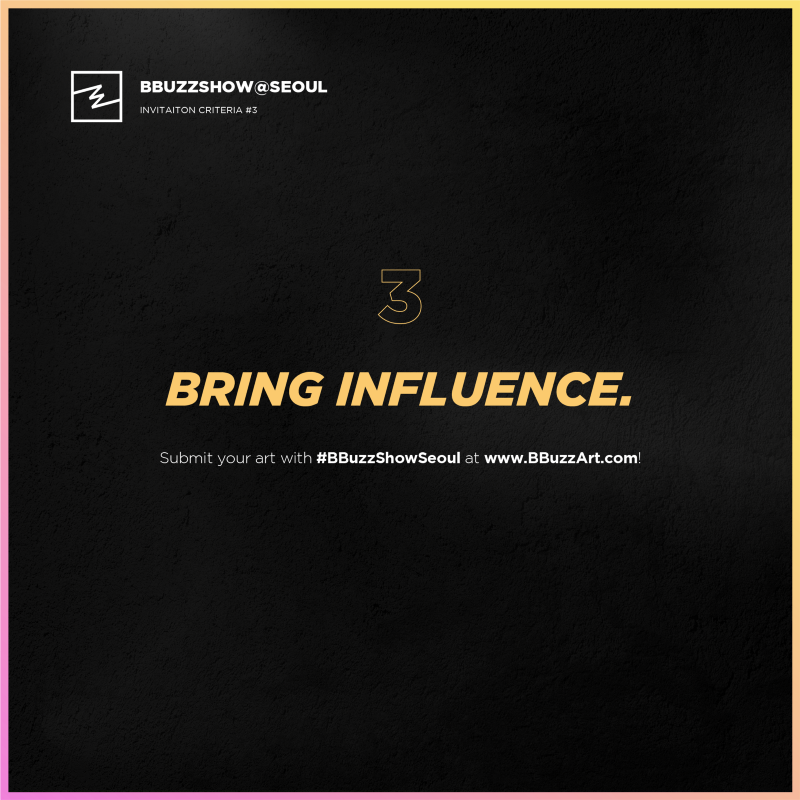 [BBuzzShow@Seoul] Call for Artists Submission! Guess what? BBuzzShow is coming back to Seoul! 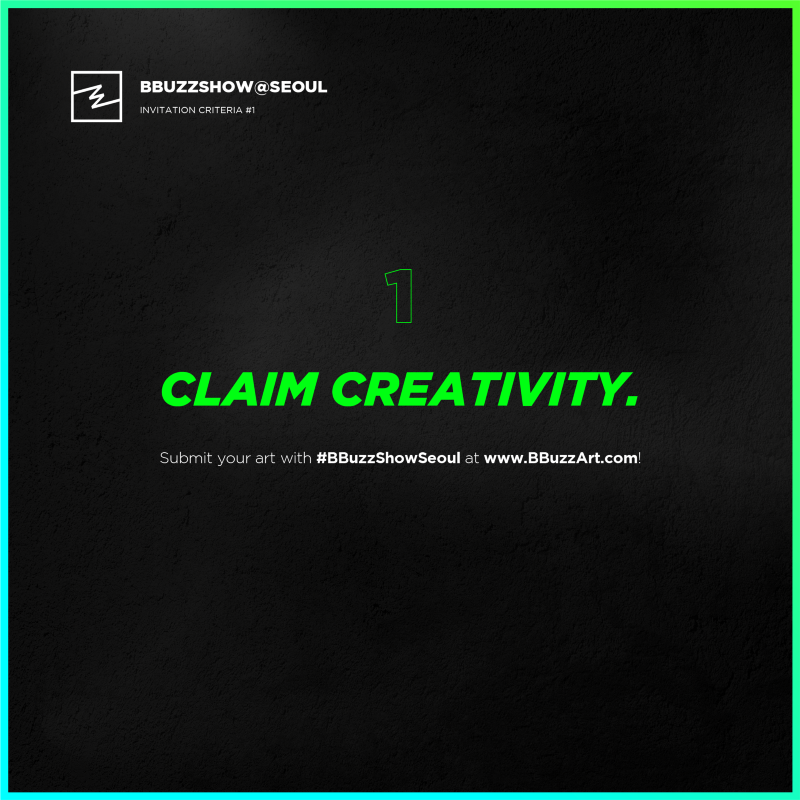 Find out how to submit your artwork to BBuzzShow Seoul. 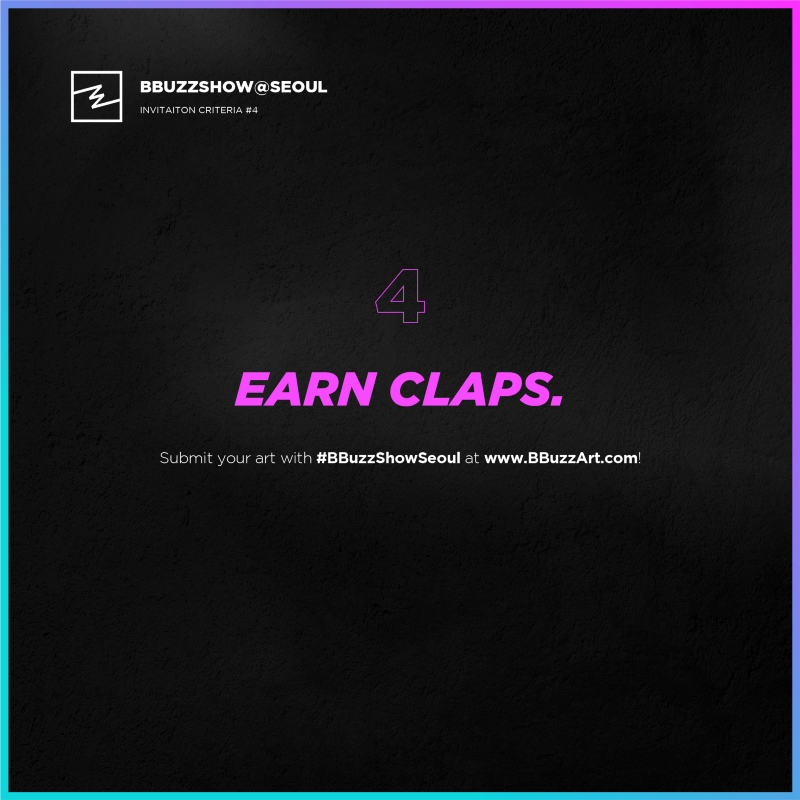 BBuzzShow is one of BBuzzArt’s highlighted events which provides an opportunity for emerging artists to showcase their hard work. Since 2014, BBuzzShow has been bringing art lovers and artists together. Starting from New York, it has travelled over major cities including Berlin, Shanghai, Singapore, Prague and Jakarta. This year, BBuzzShow is coming back to Seoul again after the huge success at Gangnam in 2016! BBuzzShow is a liberal platform which any art lovers could participate! The exhibition team receives open submissions without any location restrictions. No matter where your fabulous artwork is situated at the moment, BBuzzArt covers all required transportation cost. Online to offline, BBuzzArt guarantees vibrant artists to claim their creativity freely! What are you waiting for? This golden opportunity is just one click away! 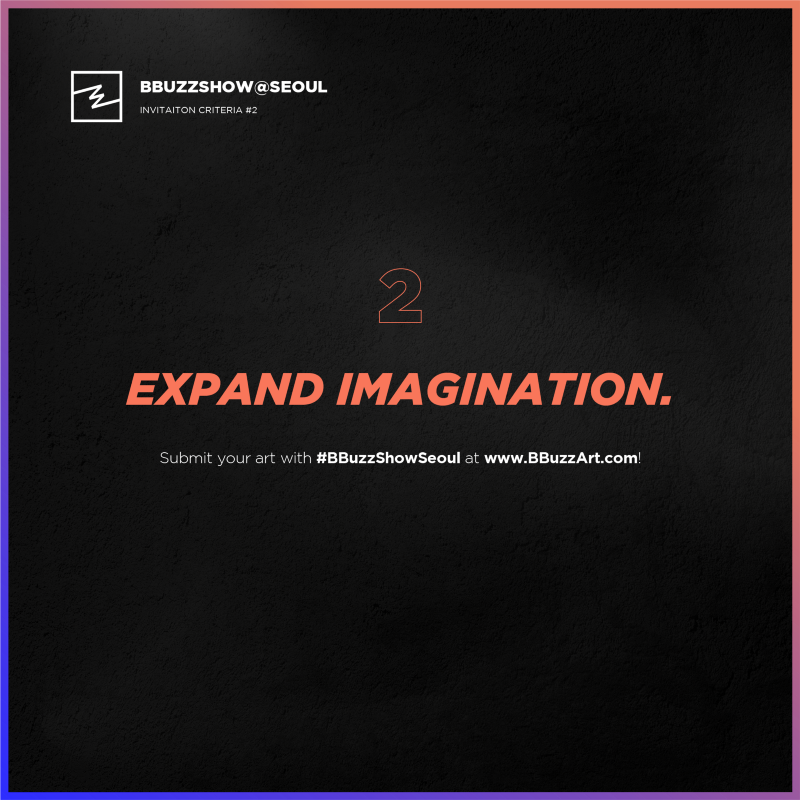 Visit our website and submit the artworks which are longing to be discovered at BBuzzShow Seoul! Not an artist? Spread this great news to your artist friends and get their talents exposed! Confused about how to submit your artworks at BBuzzArt? Don’t worry, it’s simple! It doesn’t take more than 5 steps to apply for BBuzzShow Seoul. We put together some screenshots and instructions below for your convenience. 1. Click Sign Up/Sign In. 회원가입 / 로그인 버튼 눌러주세요. 2. Either Sign up/ Sign in to BBuzzArt. 3. Click the profile button. 4. Click the edit button from your profile. 5. After adding your profile picture, changing your cover image, and filling in the ‘About you’ and ‘Work/Education’ sections, save your progress. 프로필 사진, 커버 사진 변경 및 About you 항목과 Work / Education 항목을 채우신 후 반드시 저장해주세요. 6. From your main home page, click the upload button. There will be a popup indicating that you must activate your email address through the verification process. 홈페이지 메인 화면으로 가서 업로드 버튼을 누르시면, 계정 활성화를 위한 이메일 인증 과정에 대한 팝업이 뜹니다. 7. Check your email account (the one you entered when registering for BBuzzArt). Verify your account by clicking on the ‘Verify My Account’ button on the email you receive from us. 이메일 인증 과정에서 입력 하셨던 이메일로 들어가 BBuzzArt에서 온 메일을 확인하시고 Verify My Account 버튼을 눌러주세요. 8. Again, click the upload button on the home page. 다시, 업로드 버튼을 눌러 업로드 페이지로 들어가세요. 본인의 작품 이미지에 대한 전반적인 정보를 빠짐없이 기입해주세요. 이 때, 반드시 Tag항목에 #BBuzzShowSeoul 를 입력하셔야 누락없이 공모됩니다. 10. NOTE: You must upload a minimum of three artworks to register! 작품 업로드를 최소 3점 이상 하셔야 합니다. 반드시 유념해주세요! 11. After uploading all your works, go to the work details to check that you have#BBuzzShowSeoul as a hashtag to be eligible for the collaboration project. 본인이 올린 작품 상세 페이지에 들어가셔서 Tag란에 파란 글씨로 #BBuzzShowSeoul 이라는 태그가 기입 되어있는지 확인해주세요. 12. Go to your profile and click edit. When you scroll down, you will see the ‘Artist Registration’ section. 13. After clicking the toggle to turn on the ‘artist registration,’ fill in the required details below, from Artist Type to your Address. Artist Registration 버튼을 활성화 후, 아래에 나타나는 Artist Type부터 Address 항목 까지 빠짐없이 채워주세요. 14. After you Request Artist Registration, kindly wait for an approval/rejection within 24 hours. Once approved, you will receive an official email from BBuzzArt. Request Artist Registration 하시면 약 24시간 이내에 작가 승인을 받을 수 있습니다! 잠시 기다려 주세요. 15. Now, you are an officially registered BBuzzArt artist! You can now sell your artworks. 이제, 본인은 BBuzzArt 공식 아티스트 입니다. 작품 판매가 가능한 단계입니다. 16. If you want to sell the artworks you have uploaded, go to the page for your artwork by clicking on it from your profile. BBuzzArt is one of the largest and fastest growing art e-commerce platforms! Don’t miss an opportunity to meet new art buyers by filling in your pricing details ASAP. 본인이 올린 작품에 가격을 책정하고 싶으시면, 본인의 특정 작품 상세페이지로 갑니다. 17. If you hover your mouse cursor over your image, on the top right, an icon with three dots will appear. Click edit to add/change your price. 이미지 위에 마우스 커서를 올리면 이미지 우측 상단에 점 세개의 아이콘이 있습니다. 18. If you scroll down, you will see an ‘On Sale’ toggle button. Click it to activate it. After doing so, fill in the necessary information below, and then save. 스크롤을 내리시면 On Sale 항목이 있습니다. 19. If you see your price on your artwork after clicking save, you have completed the registration process. Congratulations! Once you have finished this step, your application for BBuzzShow@Seoul is successfully completed! 작품 상세 페이지 우측에 본인이 입력하신 가격이 노출되었다면 모든 과정을 빠짐없이 수행하셨습니다. 수고하셨습니다. 이 과정을 끝내셨다면, BBuzzShow Seoul 신청이 성공적으로 완료되었습니다! Museum Definition: Could Museums Take Stands? What are museums in today’s defintion? In 2007, the ICOM (International Council of Museums) Statutes has adopted the definition of museum for the international museum community as ‘a non-profit, permanent institution in the service of society and its development, open to the public, which acquires, conserves, researches, communicates and exhibits the tangible and intangible heritage of humanity and its environment for the purposes of education, study and enjoyment‘. It is concrete that museums are no longer Cabinets of Curiosities traced back to Renaissance period. They are no longer places simply for objects to be stored and exhibited. We now ask questions about museum’s identities like What are the social responsibilities and duties that museums should take? ; Do museums hold the authority to define art? ; What could the public expect from the institution?. Today, we will take two recent news from Design Museum in London and the Met in New York as examples and discuss whether museums could take stands. And further, how the two museums perceive their ‘charity’ identity differently. Hope to Nope: Graphics and Politics 2008–18 is the current exhibition in London Design Museum. It features graphic design and technology that reacted to important political moments throughout the decade. Due to a sponsorship between the arms dealer Leonardo and the museum, over one-third of the artworks from the activist party were removed from the exhibition after their request and petition Nope to Arms. As a result, the exhibition is now free to visit. Deyan Sudjic and Alice Black, directors of the Design Museum, the executives explained in the statement that since they should maintain neutral as ‘an educational charity’. Since no political stance should be taken, the museum would maintain their relationship with Leonardo. According to the invitation by the William R. Kenan, Jr. Charitable Trust, the Metropolitan Museum of Art has served as an anchor organization alongside New York University’s Tisch School of Arts for social practice art. We’re not an institution that just focuses on charity. We need to be an institution that focuses on justice. There is a real distinction between charity and social justice: I think ‘charity’ is a term that makes us feel comfortable at a cocktail hour. But when you’re talking about justice you’re actually talking about how you right a wrong. For us, being able to dive deep into this work fits with that…At this moment in our country’s history, we need to dive deeper and look at what social justice and social practice in the arts look like. In 2016, Dorian Burton, assistant executive director of the William R. Kenan Jr. Trust made a cold call to Kemi Ilesanmi, the executive director of the Laundromat Project, a New York City-based nonprofit that brings art to unexpected places. That was how this act for social justice by art started and now turned out to be a $6 million program. Two months ago, the Met has announced that they would use $1.5 million of the Kenan Trust grant to support an artist residency program dedicated to social change. What about the justice within the artist community? The current art market is in some ways biased on different grounds where many talented artists are not granted the chance they deserve. Justice within the artists community starts when everyone can share their art freely regardless of their identities. The start-up online gallery BBuzzArt is a liberal platform which support equal opportunities. Through the online system, any young and emerging artists can submit their works to BBuzzArt and get exposed to the world. The website is user-friendly for both artists and collectors. If you wish to join us to create a more ideal art world with equal opportunities, go to our website and learn more. Author bbuzzartPosted on August 3, 2018 Categories BBuzzArt WritingsLeave a comment on Museum Definition: Could Museums Take Stands? Austrian artist Katharina Cibulka has stitched ‘As long as the art market is a boys’ club, I will be a feminist,’ across the facade of the Academy of Fine Arts in Vienna as part of her ongoing public art project ‘Solange’. 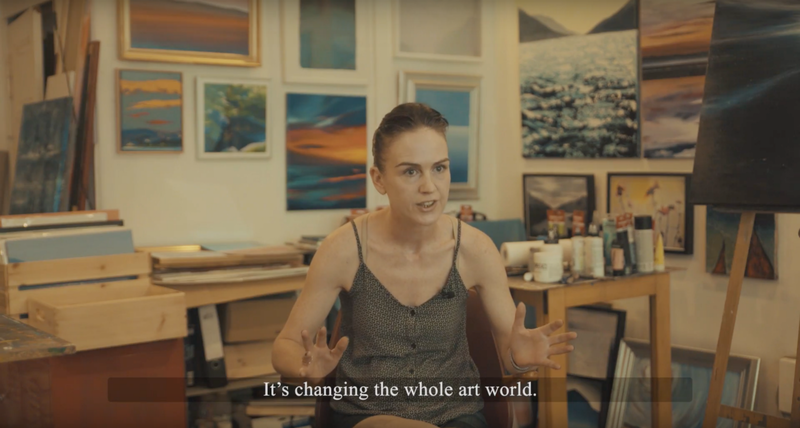 This artistic act has caught the eye of the public towards the gender parity of the current art market. Along with all other gender equality controversies, the male dominance phenomenon in the art market has constantly initiated heated discussions in these decades. This challenge can be traced back to Second-wave Feminism, when Guerrilla Girls questioned the art institution with their well-known yellow poster in 1989. Stating the fact that ‘less than 5% of the artists in the Modern Art Sections were women, but 85% of the nudes are female‘, they asked with their slogan ‘Do Women Have To Be Naked To Get Into the Met. Museum?’ in a sarcastic manner. According to Artprice’s 2017 international report on the contemporary art market, figure shows that among the top 500 contemporary artists in worldwide auction houses, only 14% are woman artists. Although for artists born after 1980 the percentage of women rises to 31%, it is true that the gender imbalance is still substantial. We can always invest hope on our future. If more opportunities are given to young and emerging female artists to sell their artworks and gain publicity before entering the auction market, the balance might be foreseen. In such a way, we need a liberal platform which support equal opportunities. The start-up online gallery BBuzzArt is an agency tailored for vibrant artists regardless of their identities. Through the online system, any young and emerging artists can submit their works to BBuzzArt and get exposed to the world. The website is user-friendly for both artists and collectors. BBuzzArt has now gathered over 14,000 artists and keep striking to generate more opportunities for them to enter the bigger art market. If you wish to join us to create a more ideal art world with equal opportunities, go to our website and learn more. Author bbuzzartPosted on July 27, 2018 Categories BBuzzArt WritingsLeave a comment on Is Today’s Art Market Still a Boys’ Club?